It’s time for another Fruit Comic adventure. 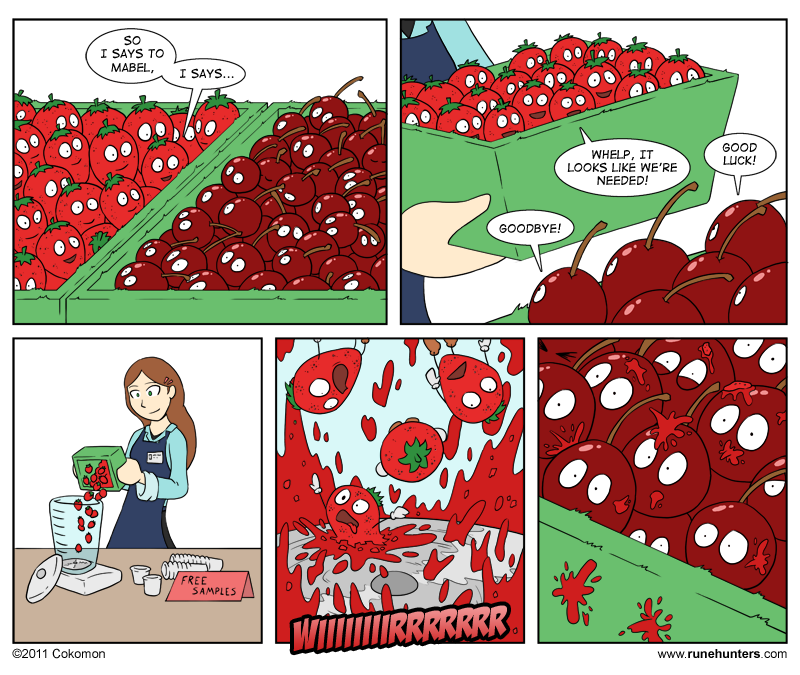 This time, starring a bunch of cherries and their unfortunate strawberry friends. Sorry, banana and apple didn’t make an appearance this time. Given the circumstances, I bet they’re glad they didn’t appear in this one.